I experienced utter sadness for my race and complete joy for my race all in the same exact week. 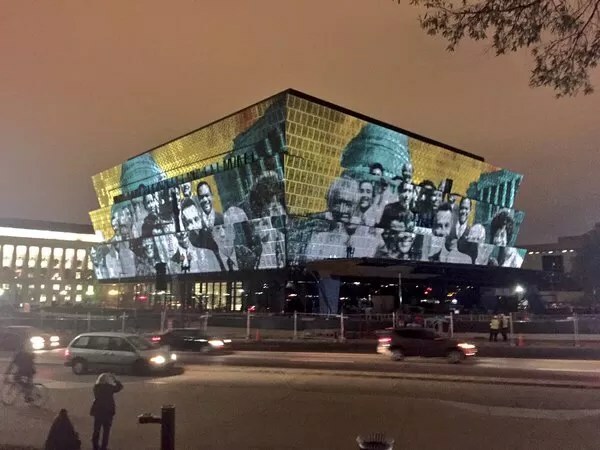 I’m so excited about the brand new National Museum of African American History and Culture in the Nation’s Capitol. I remember going to every museum downtown dedicated to every other culture and race, but never saw my own. As a black woman who grew up in a predominately black area I’ve always longed to see something so captivating dedicated to my people and our culture. A week prior to that museum opening, the news blew up with the frightening story of Terence Crutcher, the unarmed black man who was shot and killed by Officer Shelby in Oklahoma. How are we continuing to repeat the same mistake? Can we even call it a mistake? The killing of unarmed black men and women? Racism is unfortunately so systemic, it’s penetrated all systems including the psyche. And yet, however, a group of people were able to come together and create every facet of this intricate museum. I have so many questions for this country. Do people love us (black people) enough to desire the longing to conform to our culture, love our music, our skin,our hair,etc and yet hate us so much so to kill us? Or maybe Baldwin was right when he suggested that they are innocent? Innocent because the foundations of their actions are based on racist thoughts that have invaded the psyche? I couldn’t be any more proud, and unlike every other post I write I have no conclusion for this one because there are yet so many unanswered questions about this country, because men like my father, brother, and my friends are still being killed for no reason, because people like Brock Turner are favored over people like Jonathan Ferrell, because people are angry about the necessary protests of Colin Kaepernick, because people still think our intelligent and eloquent president Barack Obama is an Arab, because….. They will never accept PBO solely because he is black, they have grew up with the mindset that black people were beneath them no matter how good, how intelligent black people are.